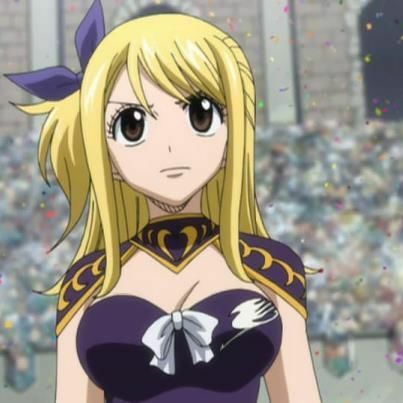 You are going to Watch Fairy Tail Episode 159 English subbed online free episodes with HQ / high quality. Stream Anime Fairy Tail Episode 159 Online English sub Lucy vs. Flare.Lucy displays tremendous skill in her battle against Flare. Out of desperation, Flare uses her magic hair to hold Alzack and Bisca’s daughter Asuka hostage, and forces Lucy not to fight back to keep her from harming Asuka. Natsu senses Flare’s foul play and grabs Flare’s hair, allowing Lucy to counter with her Urano Metria spell remembered by Gemini. Before she can land the finishing blow, however, Flare’s teammate Obra nullifies Lucy’s magic, causing her to collapse and lose the match. 4.5 / 5 - 9 ratings.